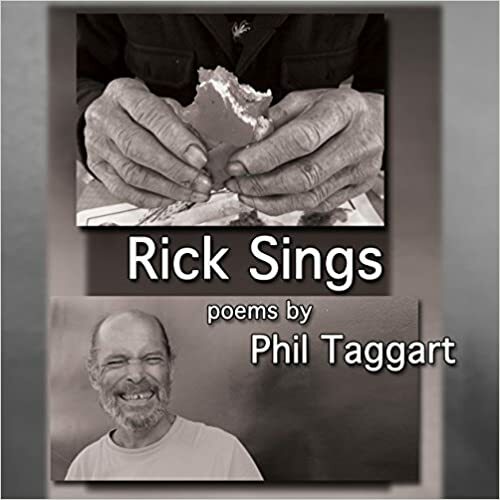 In Rick Sings poet Phil Taggart vividly illuminates how he has come to accept his psychotically disabled and often homeless younger brother Rick as a human being, as his own dear brother, and not as a duty, a life lesson or a cross to bear. Yet Phil's enduring love and respect for Rick seems to have liberated him in ways he might not have thought possible. For those of us family and helpers of families of people with severe mental illness, Rick Sings offers both moral support and practical demonstration of what we can and cannot do. As such, this affordable, compact, accessible and powerful book will be valuable and enlightening for clinicians and families. The 51 short poems in Rick Sings beautifully and clearly reinforce what I have gained from my own daughter's mental illness and from my twenty five years as a family educator for NAMI, the National Alliance on Mental illness. I have experienced and witnessed the profound influence that having a mentally disabled sibling or child has on how we define ourselves and how difficult it is to integrate the potentially permanent and sometimes overwhelming role of caregiver into our own present and future. The deep, painful and life-changing losses and repeated upheavals that brain diseases such as schizophrenia impose on individuals and their families leave recurrent and sometimes unbearable waves of rage, grief and helplessness heaving in their wake. The guidance and reassurance offered by Tagart's poems lie in his honesty about intensely felt frustration and hopelessness and how he keeps returning to being a loving brother without judgment. Phil shows us a way to connect to the humanity at the core of every mentally ill person that underlies their often self-destructive and seemingly inexplicable choices and behaviors. These poems give a voice to Rick, his interests and cravings, his well-justified fear of the police and his way of recalling stories and jokes that set him to "laughing like a child/escaped into mirth." In the poem "49" Phil's sister Kathleen becomes a luminant grain that emerges as "the chafe separates". With her and Rick "we are family/and scarred and/standing on feet/that hurt and lose/circulation". The brothers reminisce about the adventures they shared "before his brain's betrayal". There are birthday poems marking Rick's entry into a sorely troubled middle age. Phil warns Rick to "be careful of the cops, they get agitated this time of year." There are vignettes of Phil undoing the problems resulting from Rick's self-destructive kindness towards other homeless and addicted people. Patti Sacher writes about herself: For 26 years I have been an advocate for families and individuals living with mental illness since the onset of my daughters illness, through the National Alliance on Mental Illness in New York City. I have been teaching the Family to Family education curriculum for caregivers of people with psychiatric diagnoses for twenty four of those years.